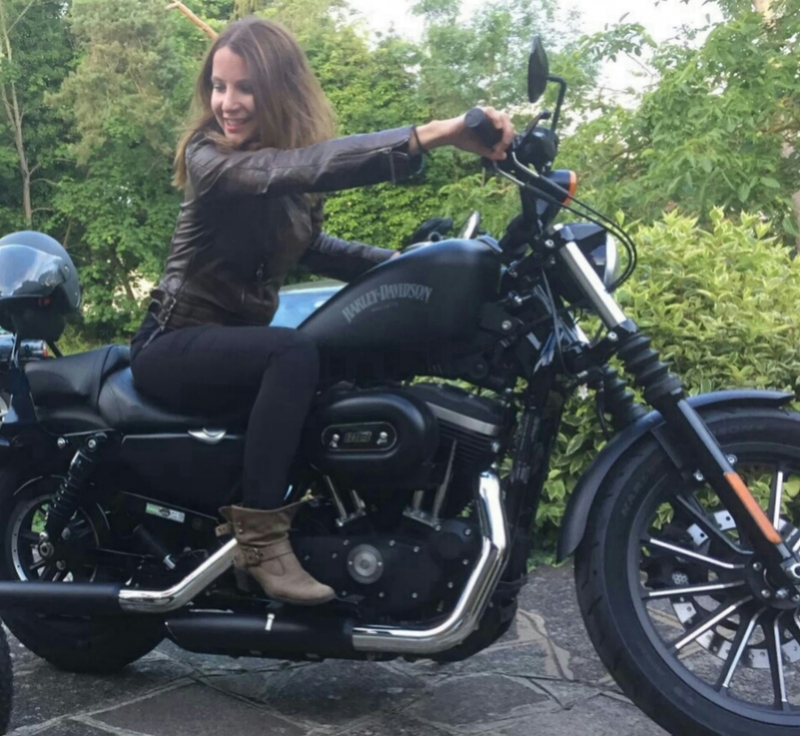 Gr8FooL was originally created for fun to brand one of my first “foolish” adventures in September 2017, when I faced a number of fears, whilst embracing a new passion for riding my motorbike, a gorgeous Harley Davidson 883N Iron, named HeiD. HeiD and I undertook an epic 6-day bike ride from my base in London to my birthtown in Italy (Asolo, Treviso), North of Venice. The name Gr8FooL was inspired by my regular practice of Gratitude and my approach to life as a Great Fool. Playing with life in a smart way. The infinity 8 emphasises the infinite thanks I feel for everything that I am, that I have and all the opportunities experienced and still to come. Forever grateful. The reference to Fool represents some of my key values in life: Freedom, Joy, Travels and Adventure, as well as “entertaining” others, in my case through inspiration. For some this word may have negative connotations, however to me being “foolish” means being free to be and express your true Self, embracing your uniqueness, even if that may appear crazy to others, daring to step away from the conventional and instead challenging yourself forward, following your dreams, regardless of how mad that may seem. A fool knows no limits! Since the bike ride, I quit my corporate job of 16 years, qualified as a certified Coach and continued to explore freedom through travels, adventures and other challenges. Aside from continuing to spread positive and grateful vibes, through website and new blogs, Gr8fool has also developed into a freedom and lifestyle coaching business. GET IN TOUCH to find our more and book a fun, FREE intro with me! From September 2018, Gr8fool is on a road tour, travelling Europe in a campervan!